What: "The toughest, meanest, battling monsters ever!," or at least that's what the package says. 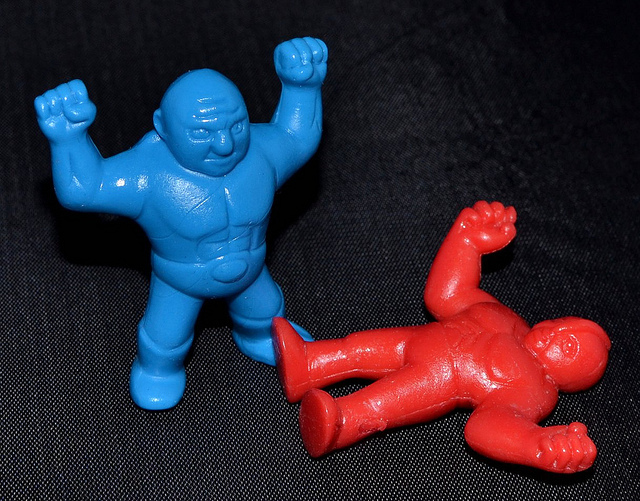 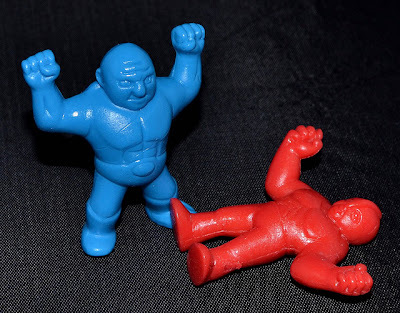 These guys take a similar approach as M.U.S.C.L.E. 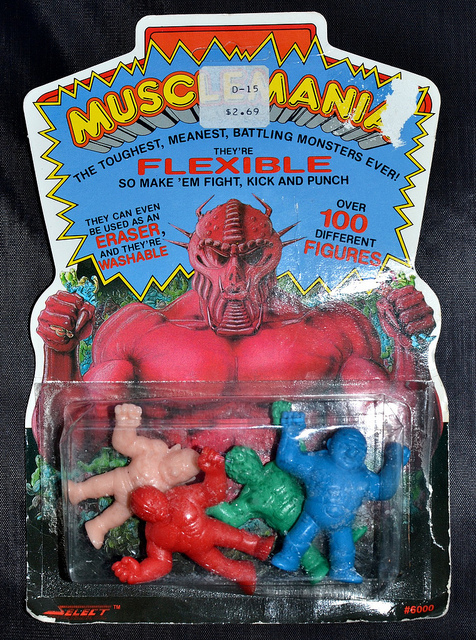 figures in that they're weirdo wrestlers, with some looking more monster/alien-like than others. 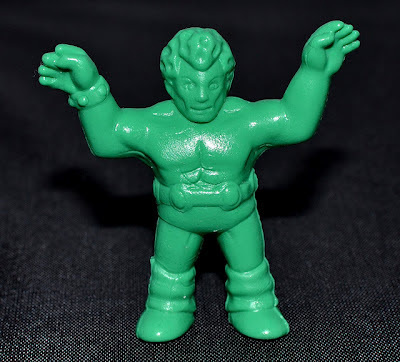 The particular variety that I have, pictured above, are made of an incredibly soft, stretchy rubber (I had some of this same kind as a kid, and over the years they started to melt onto other toys and become really deformed), and come in red, blue, green and flesh colors. 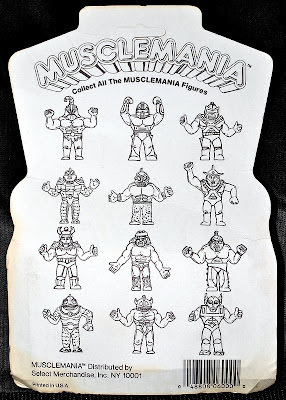 Different, harder rubber versions of the Musclemania figures seem to have been produced prior to these (as pictured/described on both the University of MUSCLE and MinifiguresXD), which could possibly explain why the characters pictured on the back of the package don't match up to the stretchy rubber characters inside--it appears as though the same name and packaging was being used to sell different figures than those that were initially sold under the Musclemania name. 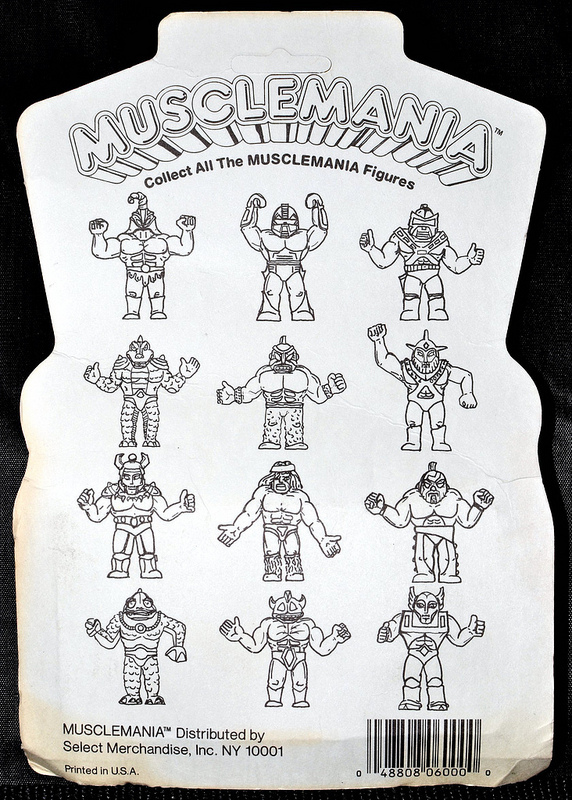 When: The figures I have are marked 1986, but based on other reports different versions of the Musclemania figures were sold as early as 1984. 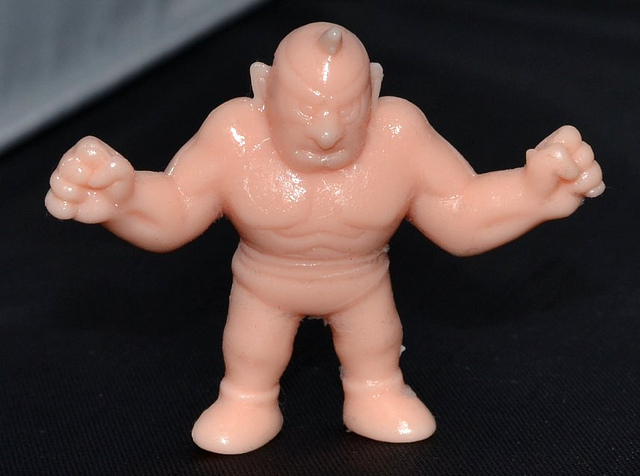 Where: Sold in the U.S. at least. I remember getting some at Toys R Us, but I'd guess they were sold at various toy stores and department stores.